2000. 16" x 13 " x 10". 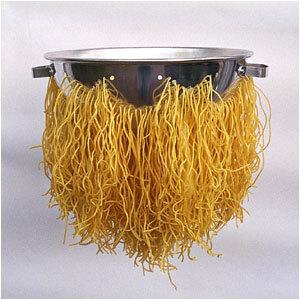 Stainless steel collander, pasta.